I have been looking forward to the opening of the RAAS market at West Edmonton Mall – a permanent market for local businesses – how awesome is that? 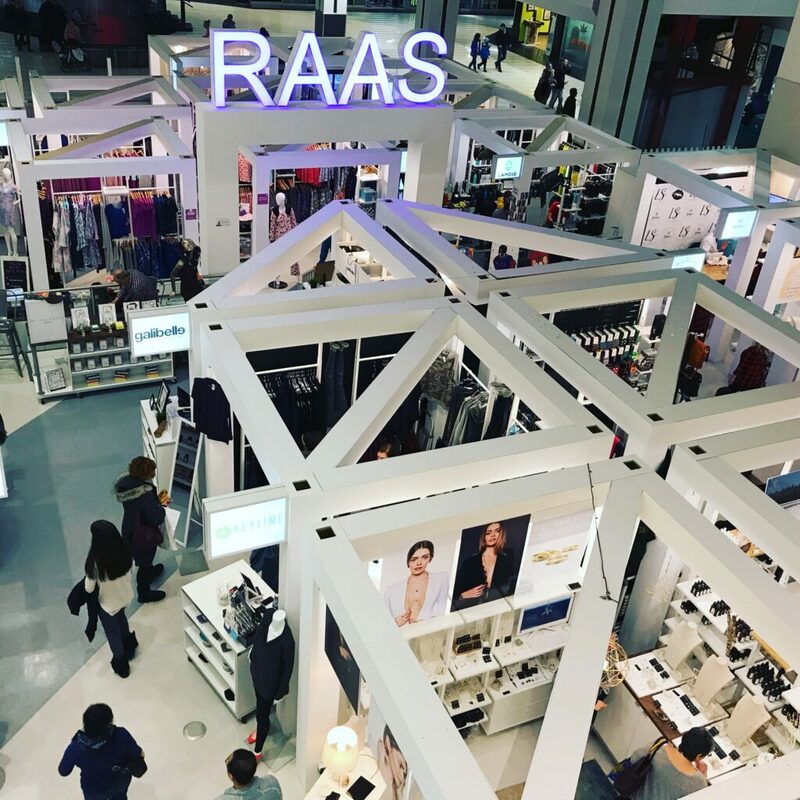 RAAS stands for Retail As A Service. It features 25 local vendors who sign 3-month leases at a time. 1 – They don’t use paper receipts. Paper receipts are so gross. They are coated in BPA (Bisphenol A) which is a known endocrine disrupter. As stated by the Plastic Pollution Coalition, “the thermal paper used for cash register and other receipts is another common source of BPA. Handling the paper leads to increased levels of the chemical in our bodies because it rubs off easily”. Email receipts make so much more sense both for our health, and for our environment (can you imagine how much waste comes from paper receipts?). 2 – There is a wide variety of quality products. 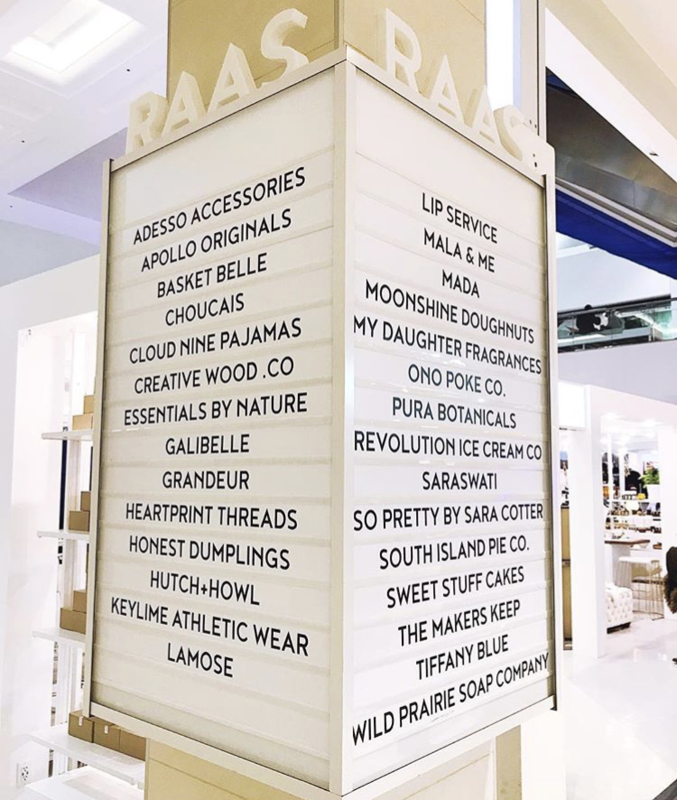 There are products for everyone at RAAS, with food, clothing, bath and body products, jewelry, products for home – really anything you can think of! Here are a few of the places I visited and purchased from right away. LAMOSE stands for Lake Mountain Sea – and the company’s vision is to “Lead and inspire others to protect nature and ourselves”. This was one of my first purchases at RAAS, and I fell in love as soon as I saw it. An all stainless steel water bottle, with no plastic parts at all! Vacuum insulation means it keeps liquids hot for 12 hours, or cold for 24 hours. The bottles are dishwasher safe and have a lifetime warranty. 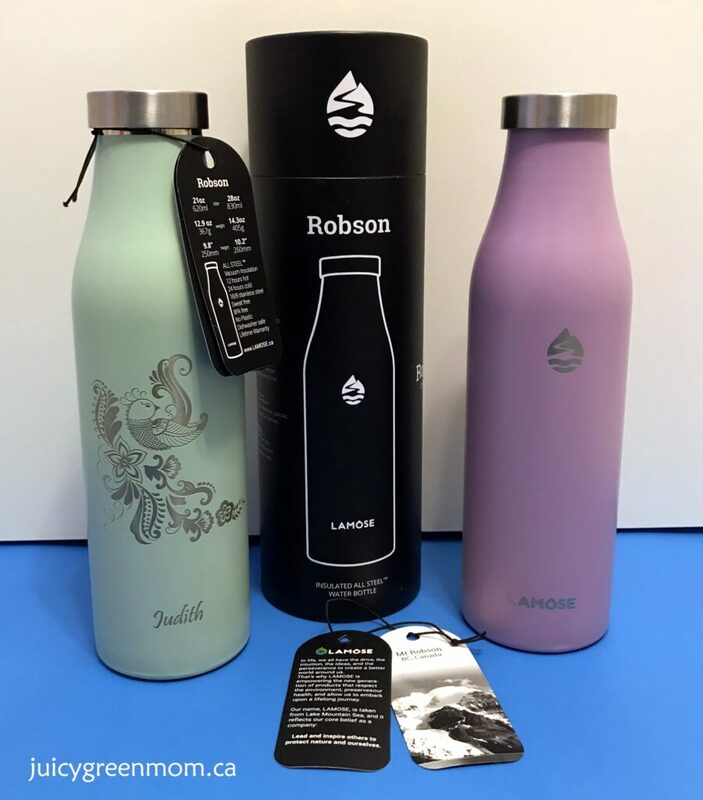 You can even get custom engraving on the bottles for a limited time – so you’ll never get your bottles mixed up with someone else’s! I love this so much, it’s one of my top favourite green things of 2017 – you need to get your hands on one! Here’s a more in-depth review here. This was the second place I shopped at RAAS, and I was very excited to see clean and green bath and body products! My daughter and I love the razzberry lip balm we got so much that it’s also one of my favourite green things of 2017. 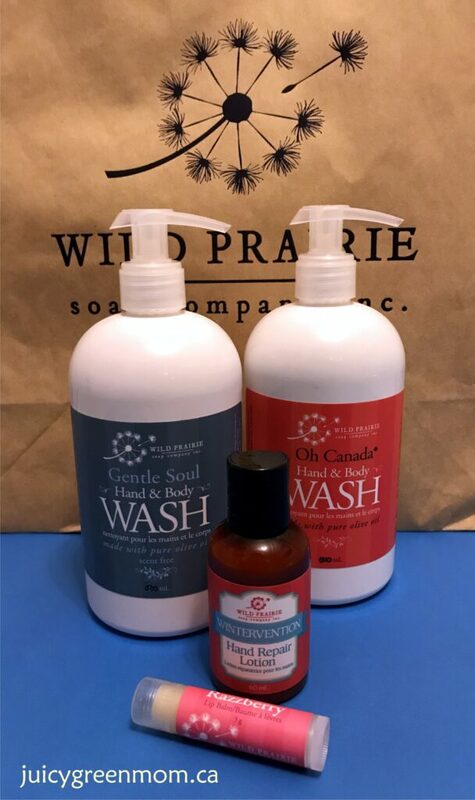 I also got some of the hand and body soap to try, and have already been loving the Wintervention hand repair lotion. Go and try some! Of course these are just a few of the cool businesses at RAAS, you need to check it out yourself. 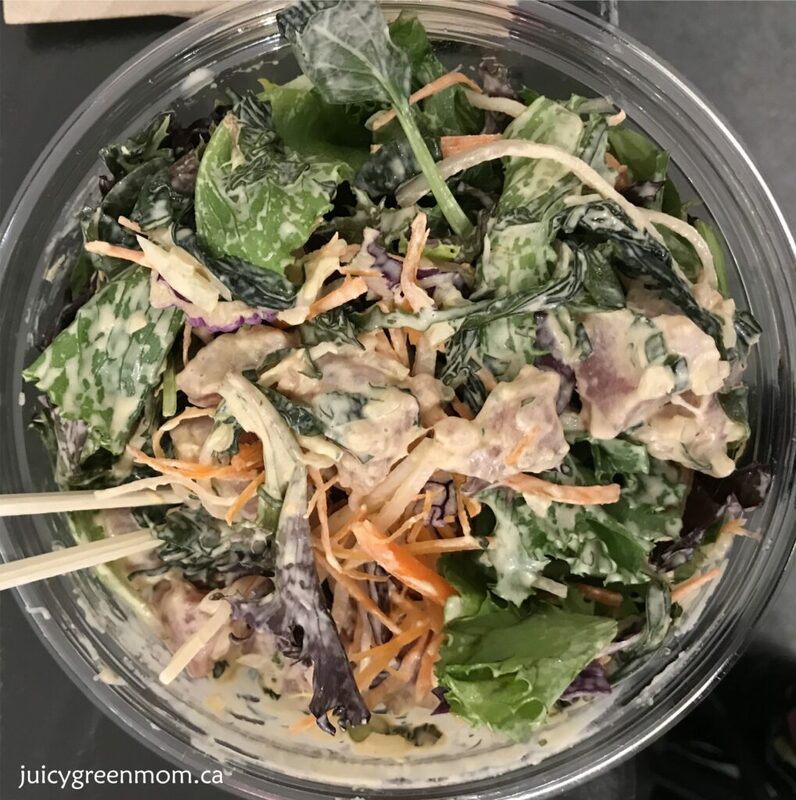 3 – They are local! Every business at RAAS is based out of Edmonton. How cool is that? Seriously! I strongly believe that we vote with our dollars, and investing in small local businesses is so much more meaningful than buying stuff from a big box store. Will you check out RAAS market?